About Lighting Design The Lighting Design Company sells quality lighting and design products to homeowners, contractors, and interior designers across the United States. We currently have three showrooms, located in Draper UT, Layton UT and Chandler AZ. We offer a wide variety of lighting for every decor style. Our Lighting Design website is our latest effort to bring quality products straight to the customer. The Company was established here in Draper over 20 years ago. The current owner, Trent Eyre has been a part of the business from the beginning. Trent Eyre succeeded Jean Eyre in taking over the family business. The company has won multiple lighting awards in The Parade of Homes all throughout Utah. 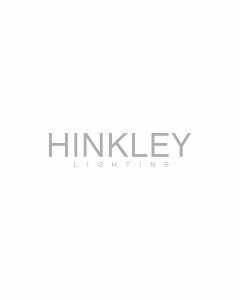 Mission Statement “Lighting Design, to see the light come to the source” As a company we are responsible to bring light into customers homes/businesses and into their lives. Our company is founded on the core values: integrity, accountability, dedication, respect, innovation, competitive, and ethical. We, therefore, are committed to the following concepts to give our customers the best experience possible at Lighting Design. We, therefore, will: Use the most updated technology to process our orders. Give our sales consultants the latest education in lighting technology and design. Have our showrooms updated and aesthetically pleasing. Keep our prices competitive while keeping our quality high. Increase profit through sales both in store and online. Work together to improve customer service. Our goal is to implement these strategies to form strong relationships with customers whether they’re a new or an existing customer. We should all be striving to create a positive work environment where people feel safe and excited to be supporting our company.